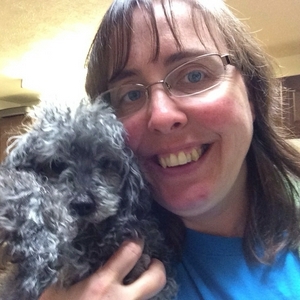 Diana Sproul remembers a chaotic evening with her pup Billy when her daughter was an infant. Billy followed the Rule of Dog faithfully that day. Diana offers alternative medicine services at her company Transform Health. Find out more about her health, nutrition, and herbalist services at her website http://www.transformhealth.biz/ . Want to see photos of the cuteness discussed on the podcast? Join us in the Tales with Tails facebook group to share your furbabies. Podcasts episodes are featured on the Silver Paw Studio Blog too. Share your tale with the world too! Email Monique to schedule your interview. Monique@SilverPawStudio.com.